When it comes to buying a video baby monitor, many parents just choose one with a good price and hope for the best. There are so many at the baby products mega-store, and they all claim to be the best! Here are the details on common video baby monitor features, so you can compare them and choose the one that works best for your house. If you live near other humans, there's a chance they could listen in on your home through your baby monitor. If it's a video baby monitor, there's even the potential for strangers to view your baby without your permission. Security features are a must if you live in an urban or suburban area. Look for digital video baby monitors, which are harder to intercept than analog signals. For top-of-the-line security, choose a baby monitor that uses DECT digital technology. If your video baby monitor allows viewing via a phone app or over the internet, make sure the video feed is password protected. Baby monitors use some of the same frequencies as other items you have in your house. Cordless phones, internet routers, and anything else that broadcasts or receives a signal could cause interference. You're less likely to have interference if you choose a digital monitor, particularly a DECT model. Most video monitors use 2.4 gHz frequency, but some use 900 mHz or the DECT 1.9 gHz frequency, so there are options if one frequency doesn't work in your home. If you want the largest video screen possible, a wired video monitor may be your best bet. You sacrifice portability with a wired monitor, but the screen is like a small computer screen that allows you to see your baby in great detail. If you want a portable parent unit, choose a wireless video baby monitor. Video screens on handheld parent units start at about 1.5 inches, and go up to about 3.5 inches. Choose the largest screen that fits into your price range. If you like the video capability of your phone, consider a monitor that uses your phone as the parent unit. The basic controls you need on a parent unit are volume, brightness, and video on/off. Being able to turn the video feed off is important since it will improve battery life. 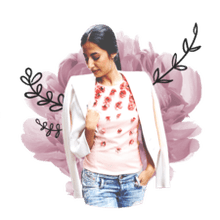 The brightness setting is more important than you might think, too. If you can't turn down a bright screen, the monitor may make it hard for you to sleep at night when it is turned on. Some video monitor parent units also allow you to control the camera zoom, tilt and pan, so you can look at more than one spot in the nursery. A vibration setting or sound indicator lights in addition to the volume controls lets you use the baby monitor while you're on the phone. Look at how well the controls are laid out. Are they easy to use, and could you find the buttons you need in the middle of the night? Do you have to navigate through menus to use the most common controls? Choose a parent unit that you can operate when you're very tired! As long as the screen is large enough for you to see your baby, the color video feed is not a crucial feature. You can still tell if baby is asleep or awake in black and white. Night vision features, however, are a must-have. Without night vision on your video monitor, you won't be able to clearly see what baby is up to at night. Since most parents keep the nursery fairly dim for naps, too, the night vision capability is important even when the sun is up. Nearly all video baby monitors will have some mechanism for adjusting the direction of the camera. The difference will be in how you make that adjustment. A static camera will just need to be positioned once and it stays where you put it. You change the angle by picking it up and moving it around. This type of monitor may cost less, but it's less convenient. Some mid-range video monitors have a manual pan or tilt feature, where you move a hinge or joint to change the camera view. Since you have to go into the nursery to make those adjustments, you may wake your baby in the process. At the top of the price range, but also tops in convenience, is remote pan, tilt and zoom. 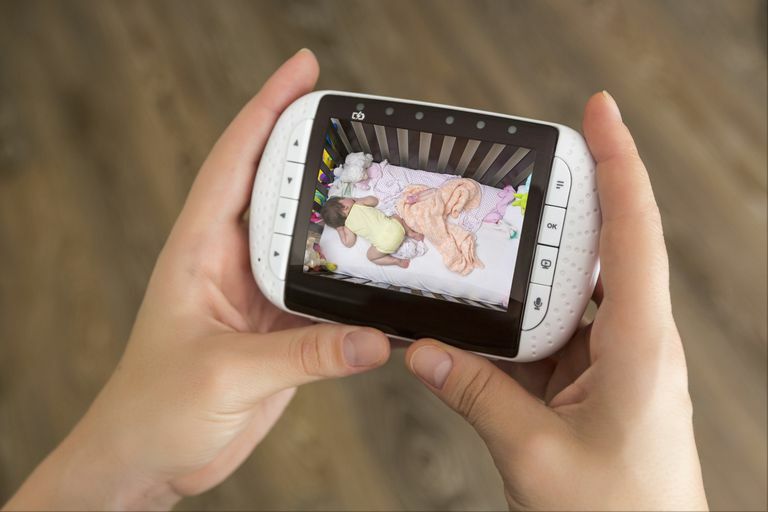 With this type of video monitor, you can change the camera view via the parent unit, so you won't bother baby when you look around the room. Video monitors usually have a shorter range than audio-only monitors. Expect to find video monitors with range of 400 to 600 feet. That's enough to cover most homes. The stated range on the package will be the range in an open field, so you may lose some of that range when the signal has to pass through walls in your house. All video baby monitors should allow you to peek at your baby from anywhere else in your home. Some video monitors also allow you to watch the baby when you're out of the house, too, via an internet connection to your phone or computer. There's even a monitor that lets you use your iPad as the parent unit. Out of house monitoring ability is nice for working parents and for those who want to share the video feed with family members. If you plan to have more than one child, or you want to be able to monitor a playroom along with the nursery, look for a video monitor that is expandable. There are several monitors on the market now that can accommodate four video cameras. You'll need to purchase the extra cameras separately, so you may also want to compare the cost of the cameras as you choose which monitor to buy. If more than one parent will use the baby monitor, you may also want to look for systems that have more than one parent unit.